AUCKLAND, New Zealand (AP) — Allrounders Doug Bracewell and Scott Kuggeleijn joined forces to lead New Zealand to a 35-run win over Sri Lanka in a one-off Twenty20 on Friday and a clean sweep of the tourists across all formats. Kuggeleijn then took 1-26, Bracewell 1-19, and both held two catches as New Zealand bowled out Sri Lanka for 144 in 16.5 overs. 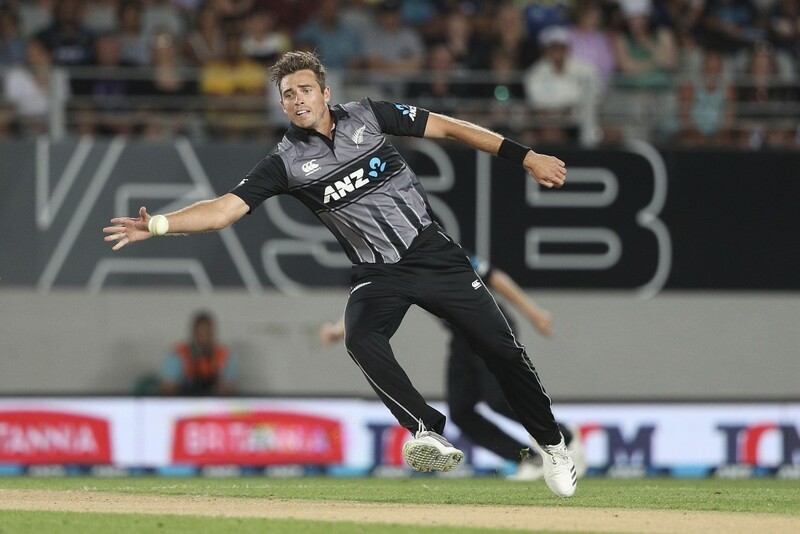 Paceman Lockie Ferguson took 3-31 and legspinner Ish Sodhi 3-30 as New Zealand pulled back Sri Lanka which was well ahead of the run rate for much of its chase. New Zealand previously beat Sri Lanka 1-0 in a two-test series and 3-0 in a three-match one-day international series. 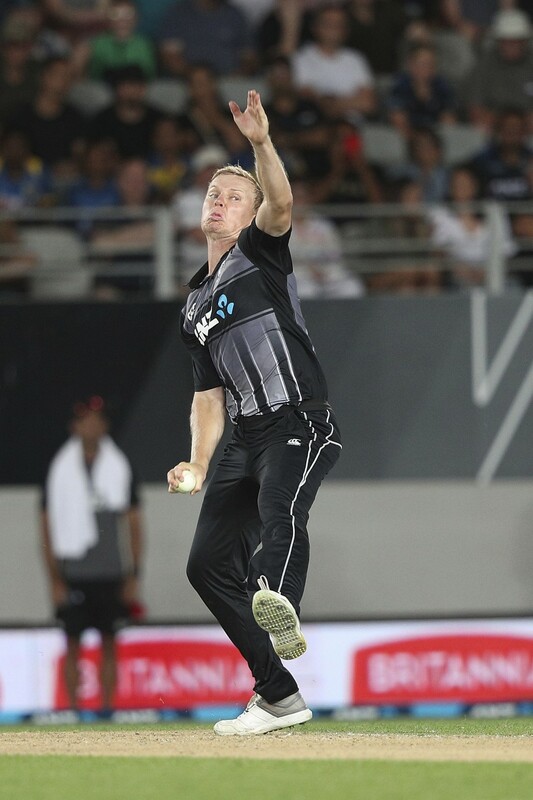 Kuggeleijn, who followed his father Chris as a New Zealand player, and Bracewell, also the son of a former international — fast bowler Brendon — both emerged as genuine allrounders in limited-overs cricket with their performances on Friday. New Zealand made a poor start after losing the toss and being sent in, losing Martin Guptill (1) in the first over, Tim Seifert (2) in the second, Henry Nicholls (4) in the third and Colin Munro (16) in the fourth to be 27-4. Veteran Lasith Malinga, in possibly his last match in New Zealand, and youngster Kasun Rajitha both took two wickets in their opening spells. When Mitchell Santner was out for 13 in the 10th over, New Zealand was 55-5 at the midpoint of its innings. A competitive total seemed unlikely as the New Zealand batsmen struggled on a drop-in pitch which offered good bounce and on which the slower ball was often effective. But Ross Taylor (33) put on 47 with Bracewell in a sixth-wicket stand, which helped to repair the innings, then Bracewell took charge with a bright innings which included one four and five sixes in his first match for New Zealand in a year. "I got going with (Taylor) and managed to get a few away, and then (Kuggeleijn) on debut was outstanding," Bracewell said. "The boys all sort of chipped in with a few wickets there." Kuggeleijn joined Bracewell and hit 35, which included one four and four sixes, in a partnership of 41. He added a further 36 with Tim Southee (13) to lift New Zealand to a total which was close to par on Eden Park. 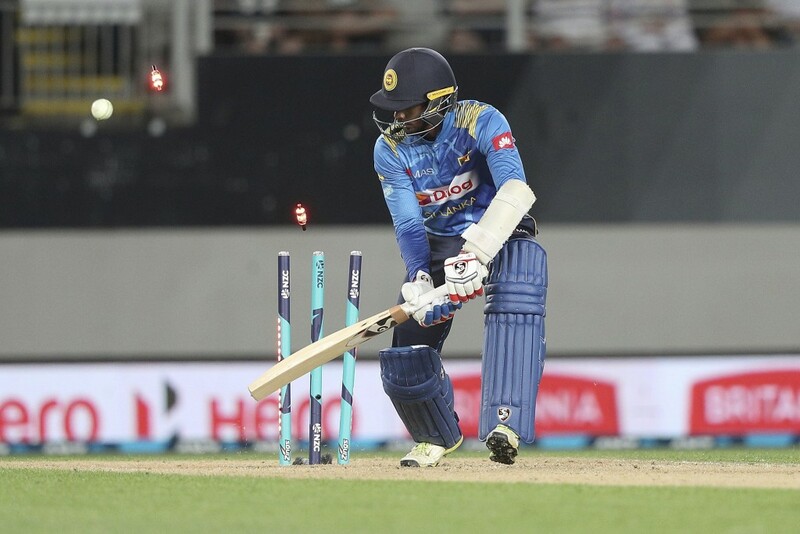 Sri Lanka made a blazing start to its reply with Niroshan Dickwella hitting a four and six from the first two balls of its innings. He blasted Sri Lanka to 29-1 after only two overs. The tourists remained well ahead of New Zealand's run curve, reaching 52-3 after five overs and 95-4 after 10. 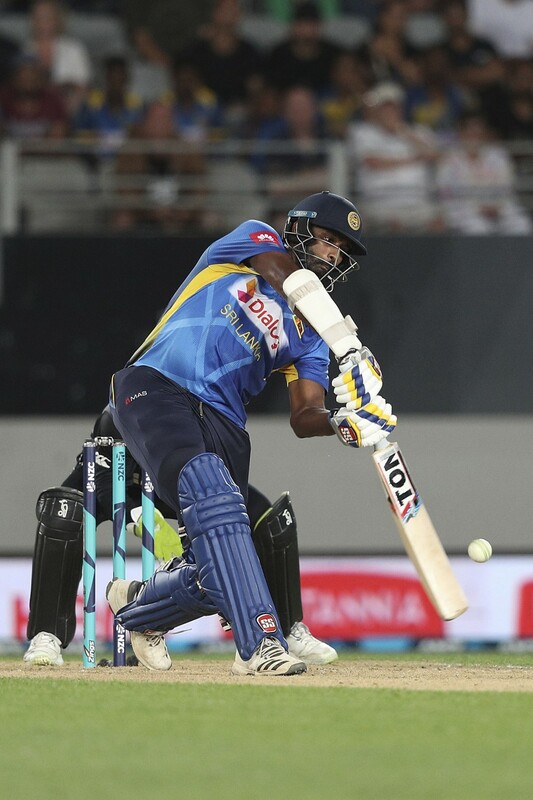 Big-hitting Thisara Perera looked likely to lead Sri Lanka to victory as he raced to 43 from 24 balls with two fours and three sixes. He worked well in partnerships with Kusal Mendis and Dhanajaya de Silva. But Ferguson returned to dismiss Perera and de Silva in one over and Sri Lanka's effort petered out. "I thought we did really well in the bowling part, but in the last overs we gave away a few too many runs," Malinga said. "I still feel that in the batting part we didn't understand how to win the game."